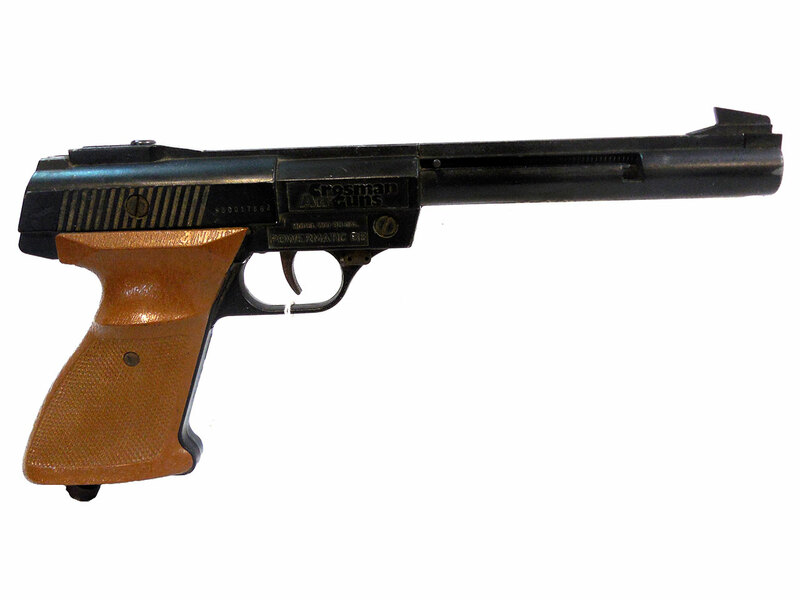 This Crosman Model 1600 Powermatic CO2 one poweriet gun, is a semi-auto colt woodsman replica. 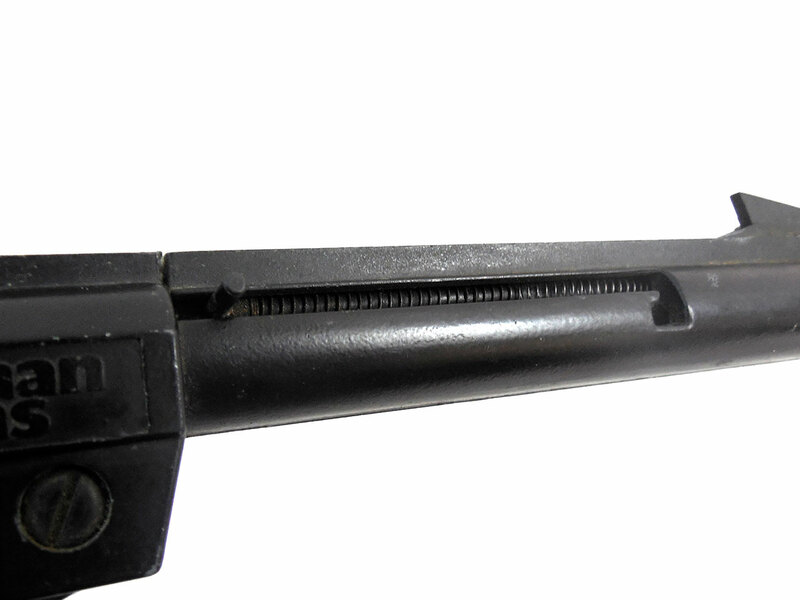 This gun has a seventeen-shot spring fed magazine, fixed sights, and a flat-head gas filler screw. 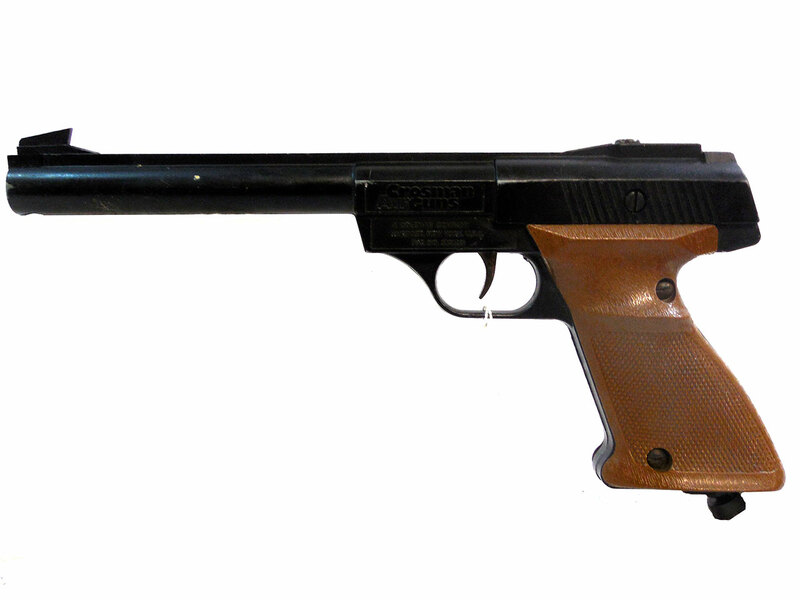 This pistol doesn’t not work, and may be missing its original parts. Also it has the original finish and the grips are in good condition. 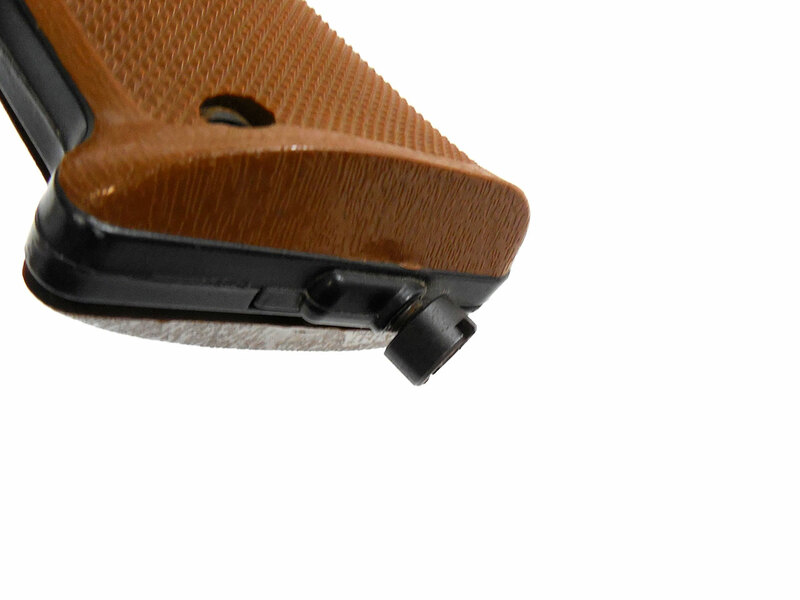 The rear sight is also missing.